Home News Bayonne News Bayonne Magazine is here! 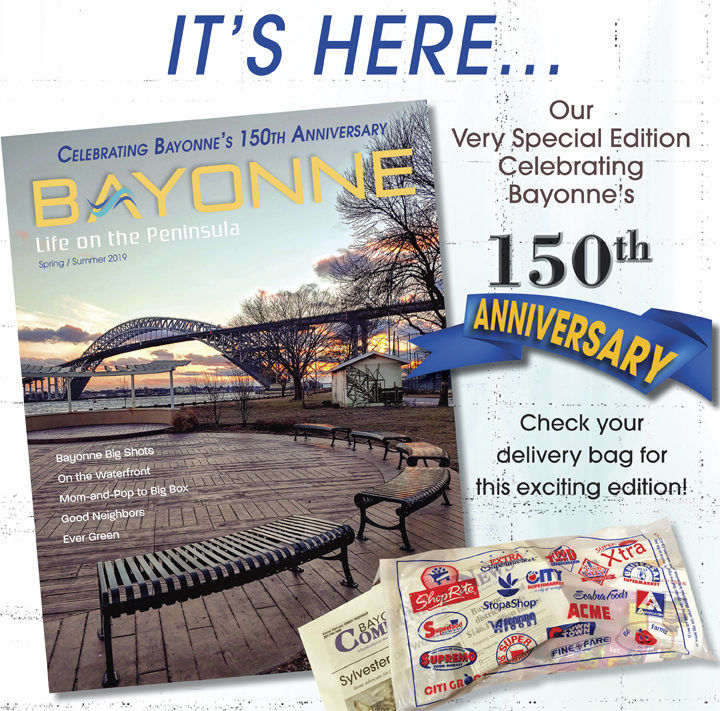 This special issue Of “Bayonne: Life on the Peninsula” honors 150 years of Bayonne history, with stunning pictures and informative stories about the town then and now. The magazine is published twice yearly by the Newspaper Media Group. The issue can be found in delivery bags around town starting Thursday, April 11. You can also pick up a copy at the Hudson Reporter office at 447 Broadway in Bayonne. Call 201-798-7800 if you have questions about the magazine or how to find it.